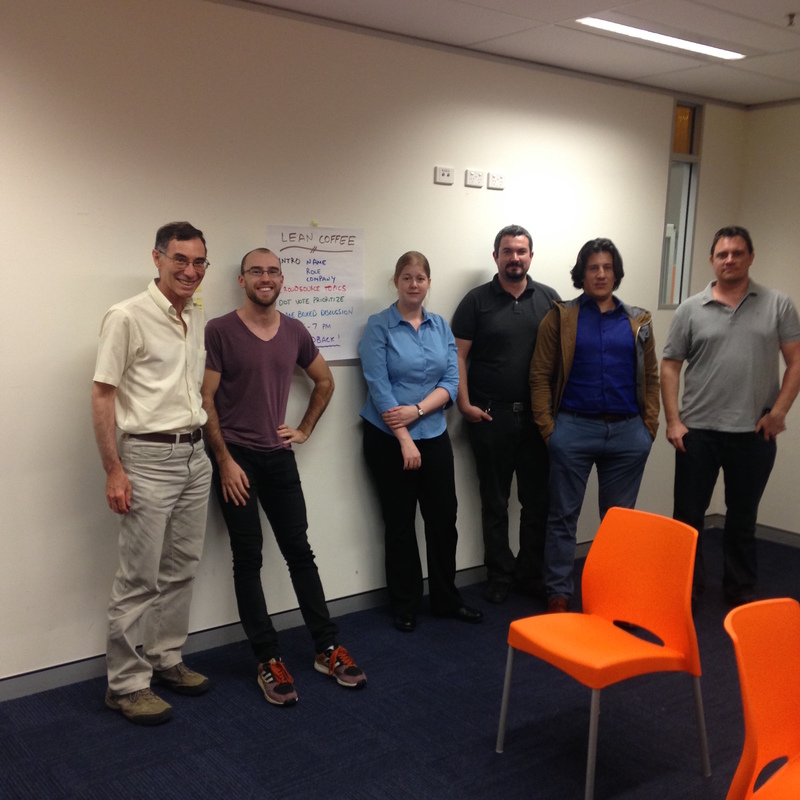 We had our first #LeanCoffee session on Monday Dec. 7. Once again, we are grateful to Rory Ford and Entry 29 for providing a meeting space. A great time was had by all! The first #LeanCoffee posse is below. A good lookin’ crowd. Here are the topics we discussed, in priority order of course! What does “Lean” mean to you? How do you convince reluctant people to adopt agile? 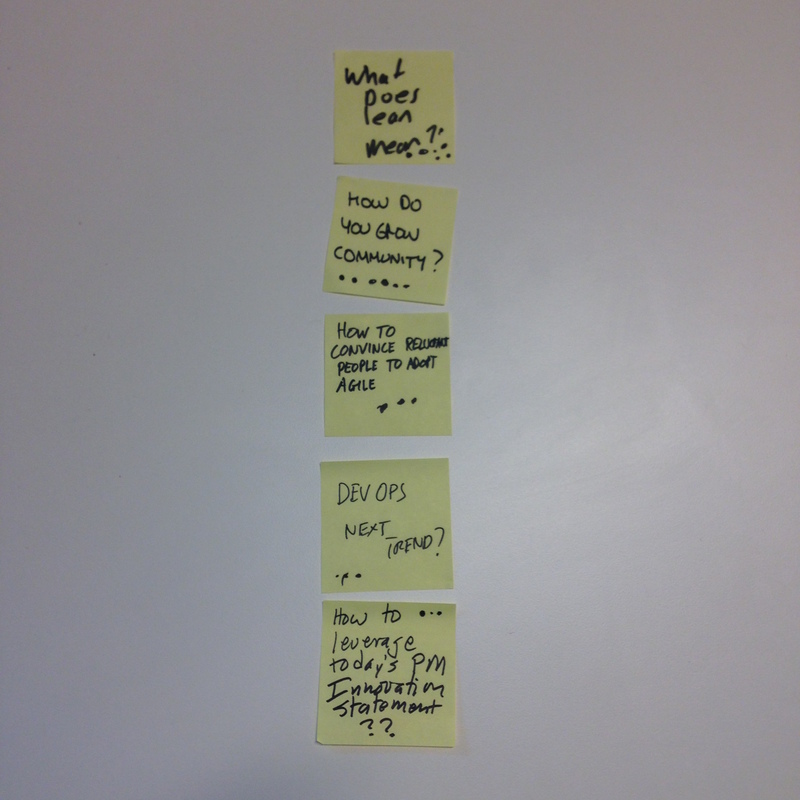 Is DevOps the next trend? 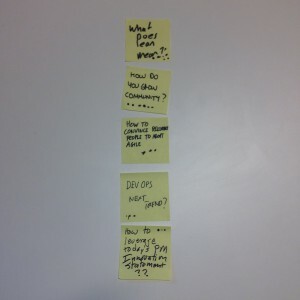 Is Scrum dead? How do we leverage today’s Prime Minister innovation statement? 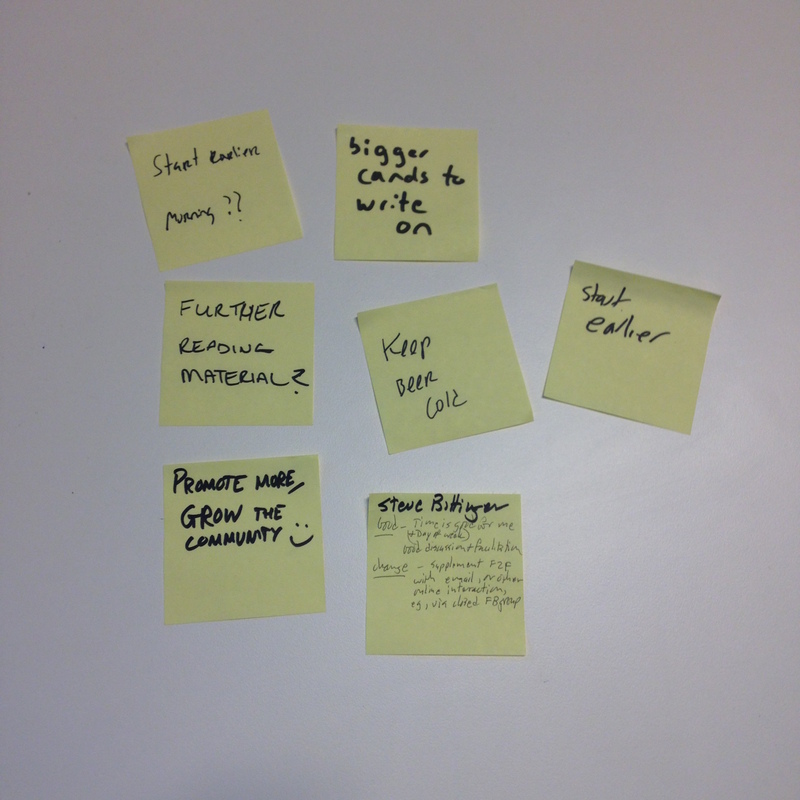 At the end of the session we solicited retrospective feedback, here it is. Can we have a “Further Reading Material” list maintained during the session? Start earlier! How about doing the sessions in the morning? Good facilitation and nice discussions! Let’s supplement the face-to-face sessions with digital interaction, e.g. e-mail, Facebook, etc. 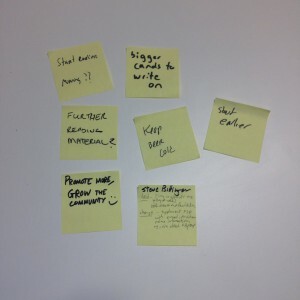 The #LeanCoffee team has an internal retro next Monday. We might be slightly updating the format for the next session on Monday Dec. 21. Come join us and get into the #agilefun !